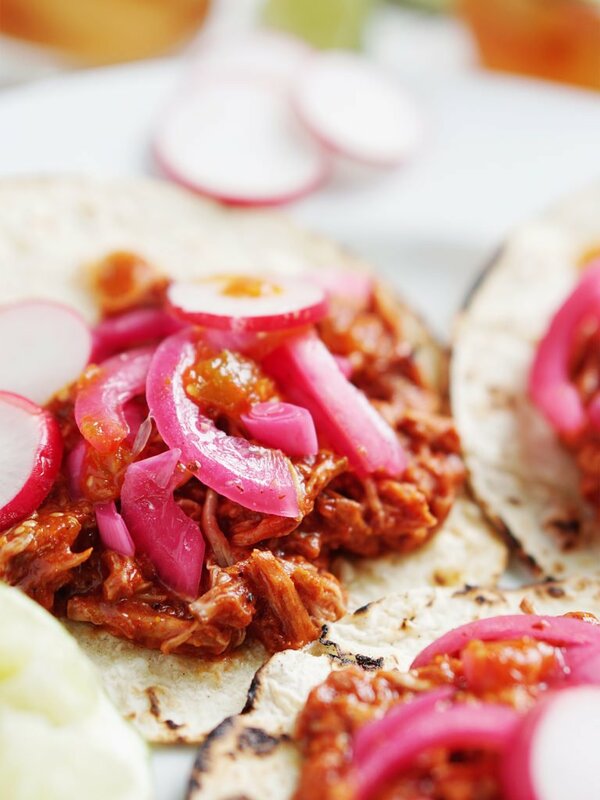 The traditional way of making Cochinita Pibil is by cooking in the ground a marinated pig wrapped in banana leaves. It cooks for hours until it’s well done. The end result is pork that just melts in your mouth. ﻿But Who has time for that?!! Plus finding banana leaves is impossible for most people. The solution my friends is using the slow cooker method! The end result is still the same: shredded port that is delicious and melts in your mouth. Yum! 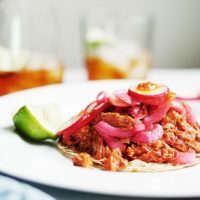 The main flavor for this dish is Achiote (Annato in English) and can be found in latin grocery stores or if you don’t have one near by you can buy it on amazon. ﻿Achiote looks spicy due to the red color but its looks are deceiving! It’s not spicy at all, just flavorful! 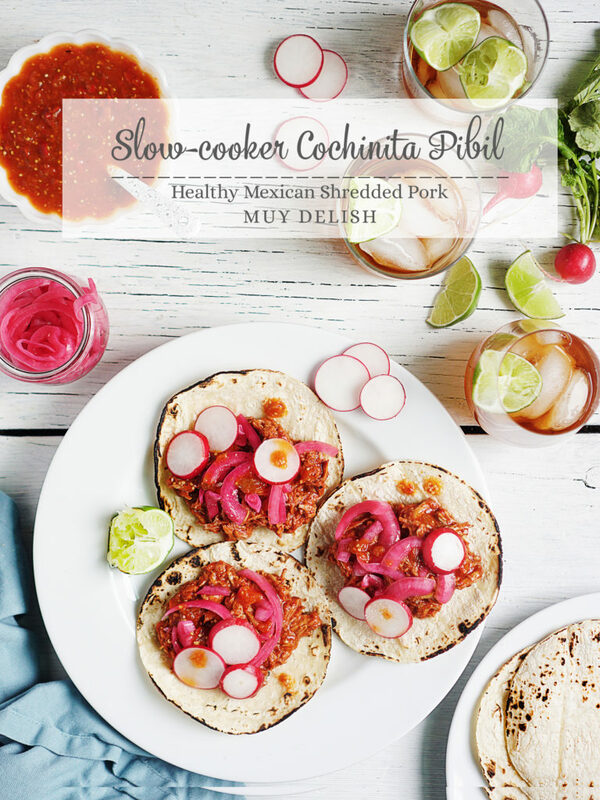 Next ingredient is pork hence the name “Cochinita” which means little pig in English. However, if you don’t like to eat pork, you can make it with lean chicken as well. Other ingredients are a coke and a beer (you’ll be amazed how great these two go together! ), a little vinegar & beef bullion. That’s it! Nothing complicated as you can see. 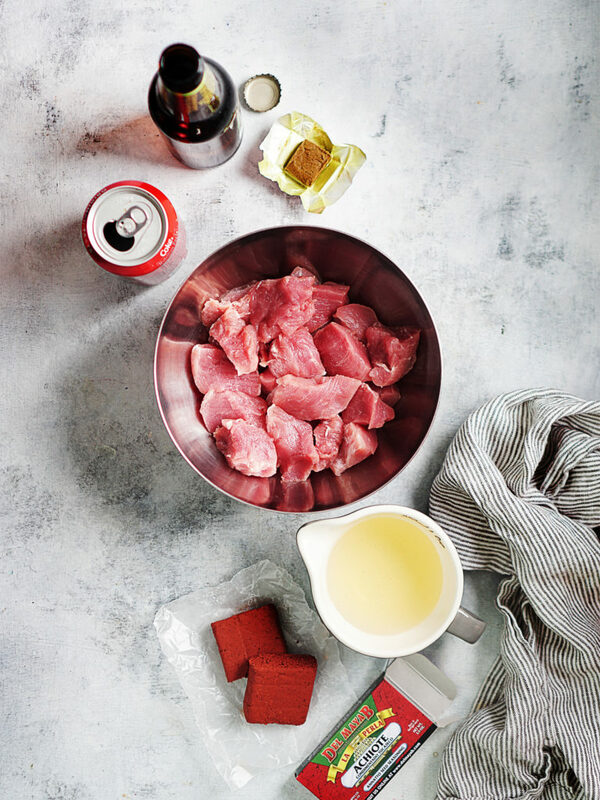 Using a coke & a beer is part of our traditional family recipe. 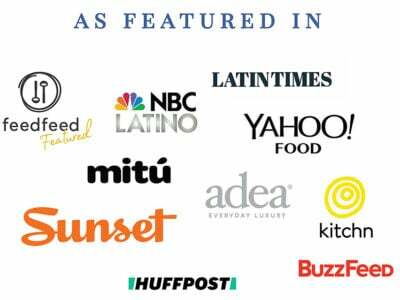 My sister Brenda makes THE BEST cochinita pibil and used to always asked her the ratio of each ingredient to make it perfectly juicy. I finally mastered it! Don’t we all love slow cookers since we can set dinner and forget about it? 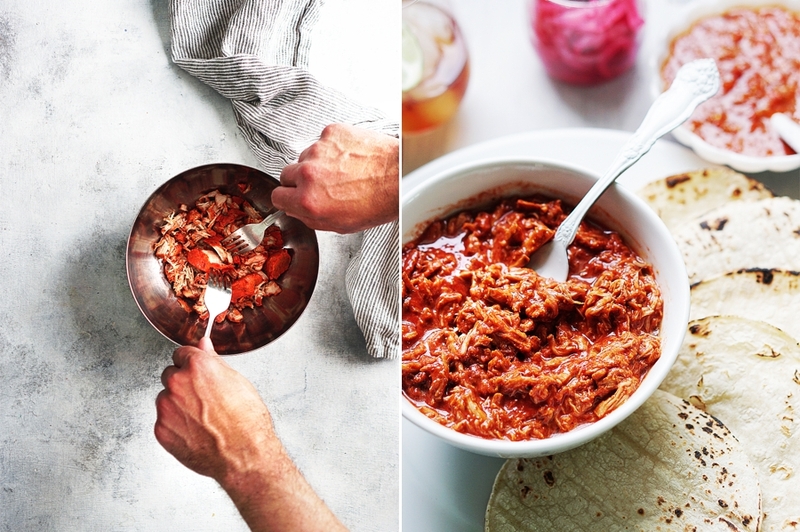 In a small bowl, dissolve the achiote in vinegar. I use a fork to break it down. At this point you can add the beef bullion to the achiote/vinegar mix to dissolve that as well or you can add it to step #1. Lastly add the coke & beer and mix all ingredients. Cook for 4 hours on high and 8 hours on low. 5) The pork is ready when it shreds easily. Remove a few pieces of pork at a time and shred with two forks in a bowl. You can do this step in the crockpot as well but I prefer to do it in a bowl so you don’t risk scratching the crockpot. 6) Return shredded pork to the crockpot and cook for 30 more minutes. This will ensure all of the meet is infused with the achiote perfectly. That’s it my friends! Easy peasy right? A good red salsa like this Chile de arbol salsa. And fresh lime juice…I can’t forget to list the lime juice! 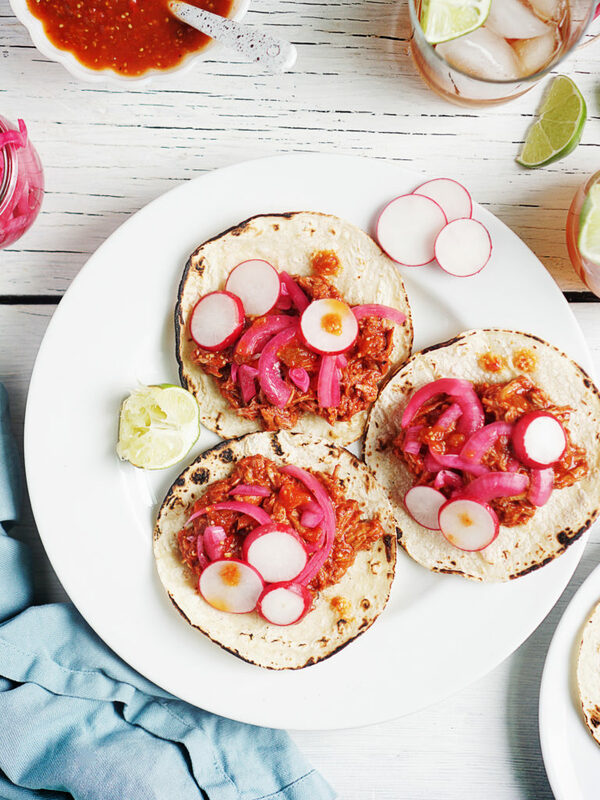 Learn how to make this delicious, juicy & healthy Cochinita Pibil using your crockpot! 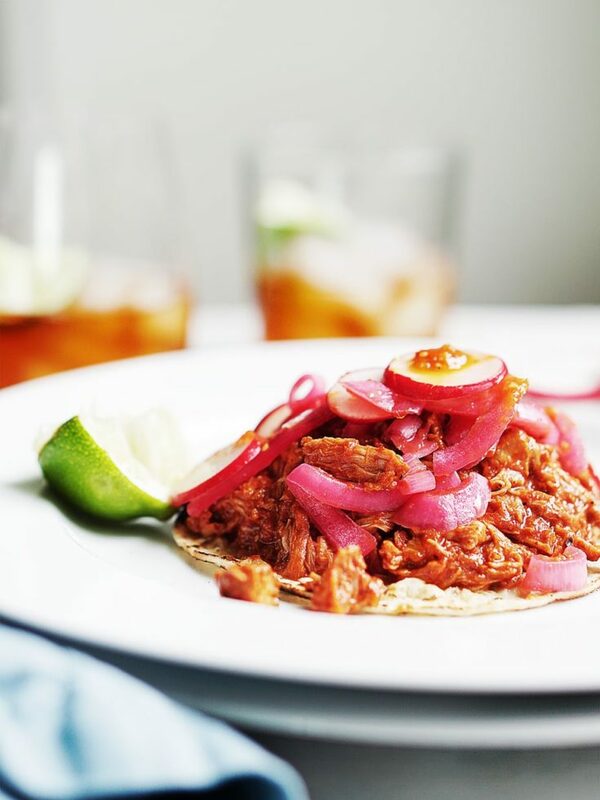 This is a traditional Mexican pulled pork dish from the state of Yucatan and a favorite of many Mexican food lovers . In a small bowl, dissolve the achiote & beef bullion in the vinegar. Use a fork to break it down. Add the coke & beer and mix all ingredients. Cook for 4 hours on high and 8 hours on low. The pork is ready when it shreds easily. Remove a few pieces of pork at a time and shred with two forks in a bowl. You can do this step in the crockpot as well but I prefer to do it in a bowl so you don’t risk scratching the crockpot. Return shredded pork to the crockpot and cook for 30 more minutes. This will ensure all of the meet is infused with the achiote perfectly. 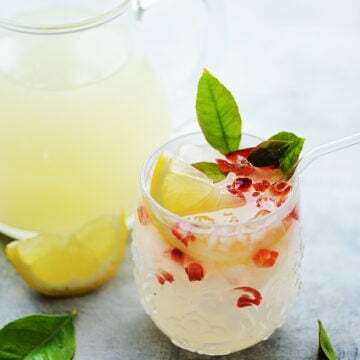 This recipe was originally published in August 2010 and was updated in April 2019 to include new photos and more instructions. Buen Provecho! 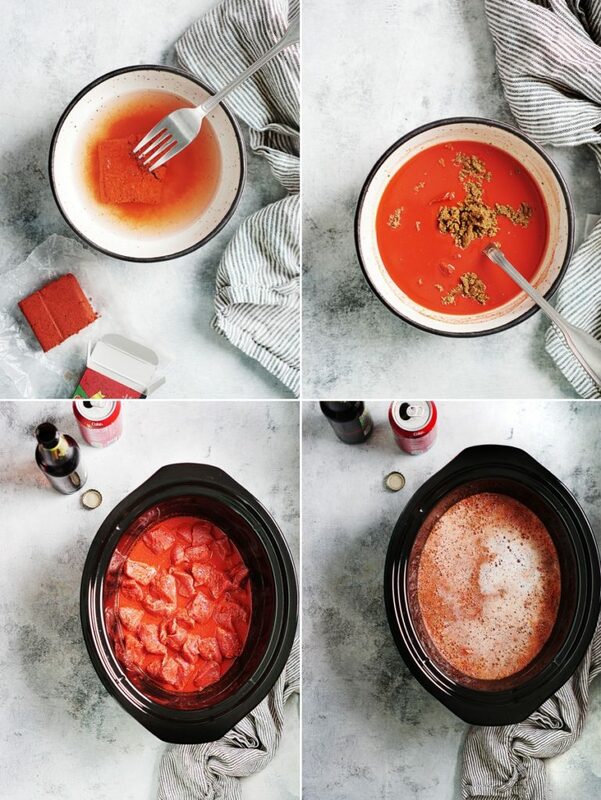 Have you ever made this in a slow cooker? I’m thinking of doing so, but liquid amounts would need to be adjusted. If I’m doing pulled pork, I just run the meat with salt and pepper and put it into the crock, with a little liquid smoke, that’s all. Then let it slowly cook. Hi Drew! Yes I’ve made it in the slow cooker and I use the same amount of liquid. It comes out perfect! Enjoy!